I know I keep saying it, but how good a year for comics is 2014 shaping up to be? The good news for fans of the medium just keeps coming and coming. 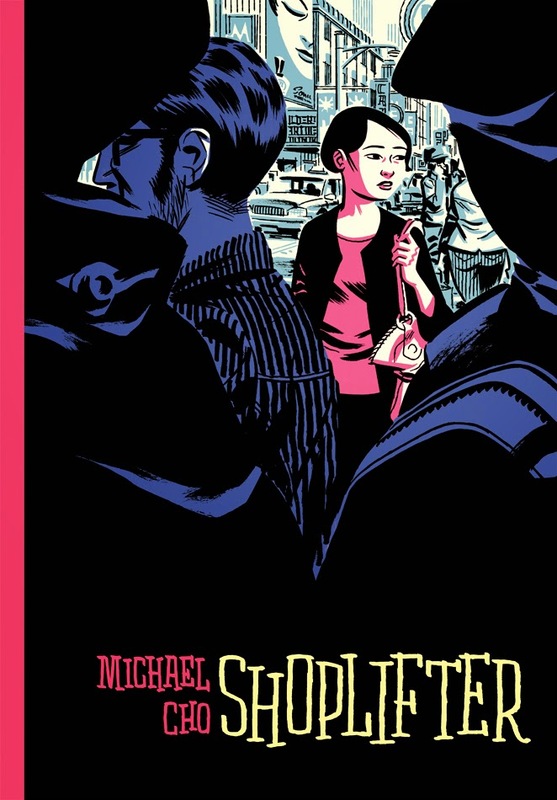 Yesterday saw artist Michael Cho announce the upcoming publication of his debut graphic novel, Shoplifter. Due for release, this September from Pantheon Books, and judging from Cho's blogpost, the book has been something he's been meticulously labouring over for a while, so it must be gratifying to finally see completed and given a publication date. Cho's previously published an art/sketchbook with Drawn and Quarterly, titled Back Alleys and Landscapes, as well as doing cover illustrations for various comics and books. His art style is frankly, absolutely gorgeous (as evidenced by that sublime cover above), so a full length comic book from his is great, great news. Shoplifter will have two-colour illustrations throughout, run at 96 pages and be published in hardback format.